This has been a very special week for all of us here at Bouquet d’Alella. One of our wines, Bouquet d’Alella Blanc 2017, has been awarded the Vinari Bronze Award in the Young White Wine category. 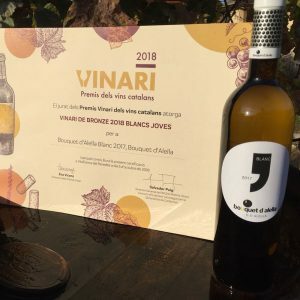 A recognition that makes us so happy and proud, as it ranks us among the best wine producers in Catalonia. Of course, it also encourages us to keep on working and become better every day.